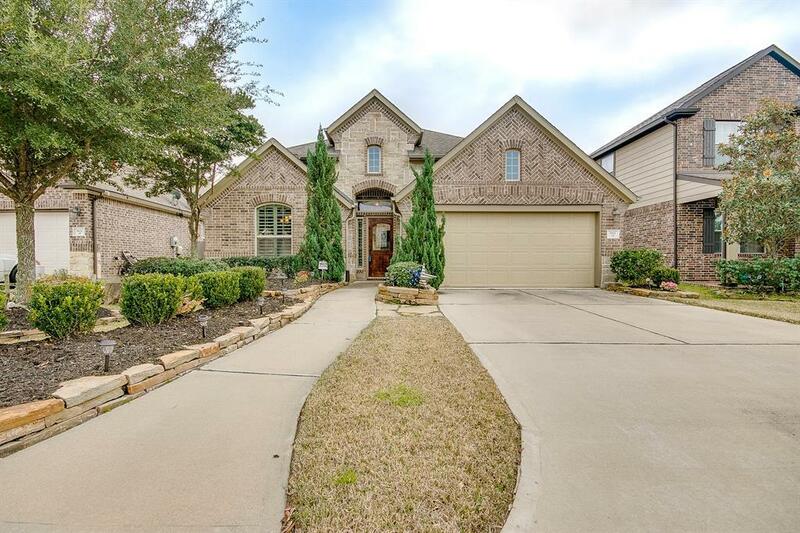 Former model home in Vintage Royale! Lovely three bedroom by Plantation Homes. Located in the heart of upscale shopping/dining experiences at nearby Vintage Park. 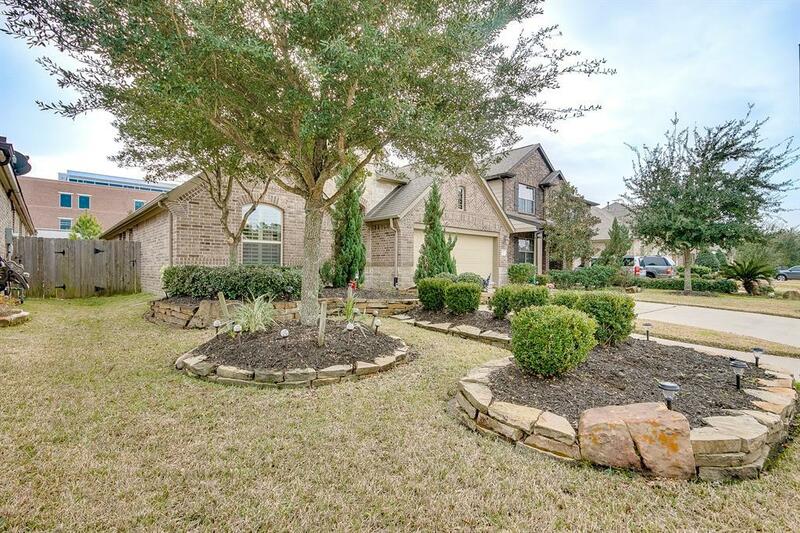 Beautiful brick/stone exterior with manicured lawn. Stunning extended foyer with arched doorways and art niches. The open floor plan boasts upgraded crown moulding throughout, and includes plantation shutters and tile flooring. Spacious formal dining area with chair rail and a large private study with built in desk and book/storage shelving. Granite counters gleam under recessed lighting in the large island kitchen which overlooks the living room and features a gas range in the stainless steel appliance package. 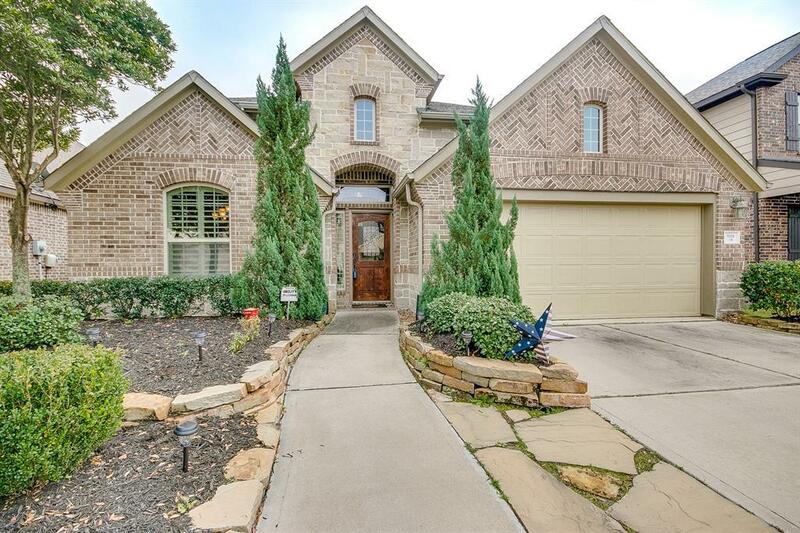 Beyond a large art niche, the lovely Owner's retreat has a vaulted ceiling and full length bay window, and features a luxurious private bath, and large walk in closet with built in shelving. The lawn is fully irrigated, includes French drains/gutters and has a covered backyard patio. Book your tour today!